This review looks at the hardware side of the equation: mTape, from mLogic. mLogic has been shipping LTO tape drives since 2014 with LTO-6. NOTE: This review also features an extended interview with Roger Mabon, CEO of mLogic, about LTO technology. Even if you are not interested in this device, his interview is definitely worth reading. 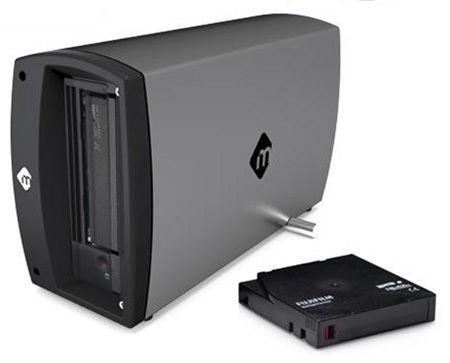 mTape is an LTO-based archiving system that records data to magnetic tape for long-term storage. Using the latest LTO-8 technology, it can store up to 12 TB of data on a single tape. Connecting via Thunderbolt 3, it transfers data at up to 300 MB/second, depending upon the speed of your source storage. Connecting the unit is dead easy. 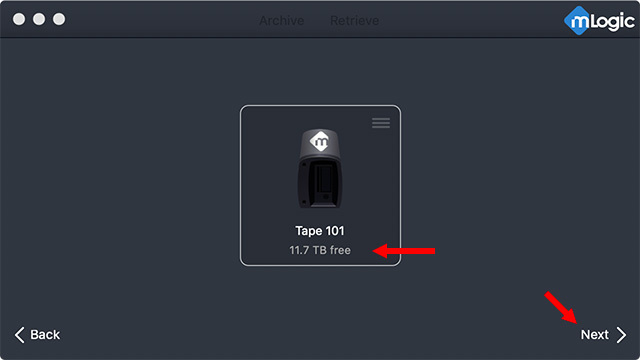 For simple archiving, the mTape ships with a basic archive/restore utility (also reviewed below) that allows you to store your data to tape, then get it back later. However, for most media archiving, spanning multiple tapes, more sophisticated software is needed to provide searchable databases, better metadata control and autonomous operation. LTO tapes are a proven technology that provide an inexpensive way to store media up to 30 years on the shelf. This unit is the next-generation of tape drives from mLogic. The only downside is a noisy fan that won’t turn off and the need to purchase additional software to make the most of your archiving system. The system requires macOS 10.10.x or later, though mLogic recommends 10.12.x or later. This unit also requires a Thunderbolt 3 connection, though converters from Thunderbolt 3 to 2 will also work. The unit comes with a standard 2-year warranty, which can be extended to 3 years. The mTape unit ships securely padded in a nicely designed cardboard box. It includes two cables (power and Thunderbolt), a blank tape and a cleaning cartridge. It does not contain a QuickStart Guide or a manual. It contains a blue card instructing you to visit the mLogic website to register the product, download drivers and the manual. Given the simplicity of connecting the device, a QuickStart guide for the hardware isn’t necessary, though it would be helpful for the mTape LTFS Utility. All you need to do is connect power, attach the Thunderbolt cable and the hardware is ready to power on. Installing the software, though, is much more awkward. Each individual file needs to be downloaded separately. There’s no clear statement of what we need to use this on a Mac. NOTE: One of the reasons for the separate downloads is that mTape requires three frameworks to be installed: OSXFUSE, ICUFramework and IBM LTFS. These frameworks are each made by different vendors and updated constantly so the utility needs to download and install each version separately. Still, it would be very useful for mLogic to point out on their website what software we need to install and what we don’t. There’s always a trade-off between putting documentation in the box, which can quickly get out of date, vs the hassle of navigating a website to get the latest version of everything. mLogic needs more user testing on its support website to make files easier to find and download. 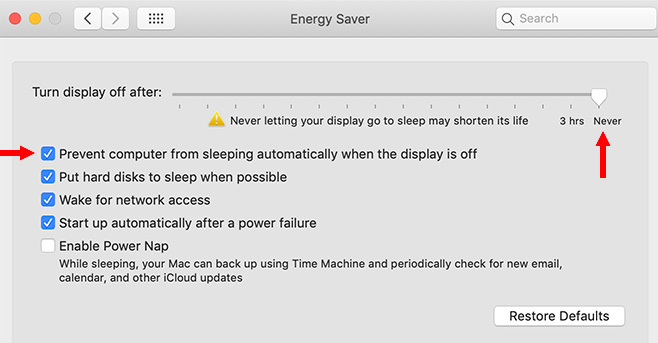 mLogic cautions that system sleep needs to be turned off, otherwise it will interrupt data being recorded to tape. Once the unit is connected to a Mac, the fan at the back of the unit starts. This is my biggest complaint about the system, the fan is not THAT loud, but it NEVER shuts off. Turning power off shuts down the unit, but the fan soldiers on. And on. The only way to turn off the fan is to disconnect the Thunderbolt connector. NOTE: According to the folks at mLogic, Apple and Intel require that the Thunderbolt electronics and fan turn on and off with the computer. This allows any devices connected downstream of the unit to continue working. The switch just turns the LTO drive on or off. While the fan is variable speed, I find that in idle mode, it is still pretty noisy, especially if you are in a quiet editing or sound mixing room. If you are in an office, you may not hear it. Personally, I think the fan needs to be redesigned to get the required airflow with less noise. NOTE: Because you hear the fan you may think that the unit is turned on. It isn’t. You need to turn on the power switch in the back. For experienced users this is no big deal. For new users, it will drive you nuts because you think it’s running when it isn’t. Turn the unit on at the back and wait while the system performs a self-test. This takes about 20 seconds. NOTE: This test takes longer if a tape is inserted. NEVER leave a tape inserted when turning power off. Once the system is powered up and the green “Ready” light appears on the front, insert a tape. The nice thing about LTO tapes is that you can’t insert them the wrong way. That’s the theory. However, as you’ll read below, the Finder really doesn’t understand LTFS. Never try to use the Finder to view the contents of a tape. Life is too short – it will drive you nuts. This is not mLogic’s fault. It’s the Finder. The good news about the User Manual is that it explains how to setup, turn on the hardware and install a tape. It also provides explanations of any error codes you may encounter. What it doesn’t do is explain how mLogic’s Archive Utility works. After I published this review, a reader wrote in to explain why LTO-8 are in such short supply. An important warning to folks interested in LTO-8 drive technology – the legal battle between Sony and Fujifilm over the media patents does not appear to be nearing a resolution. This means that you will only be able to purchase LTO-7 media for use with LTO-8 drives. Some vendors may tempt you with a tape type called M8 – which is an LTO-7 tape reformatted to a mid-point between the 6TB of LTO-7 and the 12TB of LTO-8. Beware: M8 media is ONLY compatible with LTO-8 drives and will neither be readable or writable on an LTO-9 drive. Also, the M8 tape cannot be unformatted back to LTO-7 format. Here’s the screen that appears when you start the mTape LTFS Utility. Here, I dragged a folder containing 80 GB of files that I want to archive. Click the NEXT button to move to the next screen. NOTE: You can archive a single folder or an entire hard disk. You can not drag multiple folders into this window at the same time; though you can store multiple folders on the same tape, you just need to run this utility multiple times. BIG NOTE: Before you can record data, or mount a drive, you need to format the tape. Click the small chevron at the top right corner and click Erase. 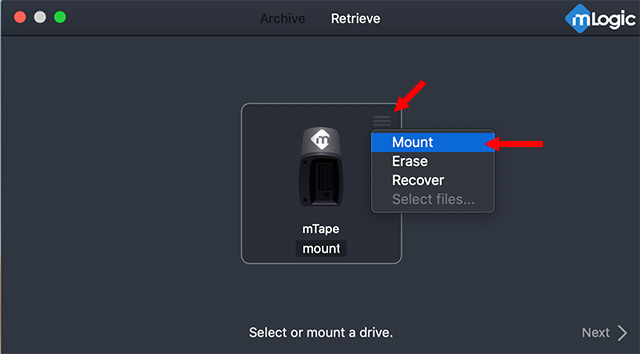 I had problems when clicking the word “Mount” at the bottom – I found using this popup menu to be more reliable. The program asks you to create a unique identifier for this tape so you can find stuff on it later. The Name and Serial number are totally up to you. LTFS is the correct choice for this system. This formats the tape and, when done, mounts the drive. The process takes about a minute. If you try to mount the drive before formatting the tape, you get this error message, which is nice, but doesn’t tell you to format the tape before mounting it. Always format a tape first – you only need to do this once, unless you decide to erase a tape to reuse it. When things are ready to go, the Next button lights up and the total capacity of the drive is displayed in the center. This final screen appears. Click Start Transfer and the magic starts. This thermometer shows the status of the transfer and recording process. As a side note, Activity Monitor confirms that the system is processing data close to its rated 300 MB/second, though data transfer speed varies – lots of smaller files will transfer more slowly than several very large files. Then, and this is a key step, the system goes back and verifies on a bit-by-bit basis that the file transferred to the tape precisely matches what’s on your hard disk. This verification process takes about the same amount of time as the initial recording. NOTE: The noise when the system is accessing tape is louder, but not objectionably so. In general, archiving is run by software which allows you to schedule a time when you want the gear to run. Overnight is always the best choice, except for DIT operations. When the verification is complete, the system records directories, rewinds the tape and wraps up its work. When the job is done, the thermometer bar goes green. Click the curved arrow at the bottom to eject the tape. We can also use the mTape LTFS Utility to retrieve files. Start the utility, then click Retrieve at the top. Once the tape is mounted. If you simply click Next, you’ll recover all the files on the tape. mTape displays a list of all files and folders on the tape. Here, you can choose the files or folders you want to retrieve. For example, in this screen shot I’m retrieving both a folder and files within another folder. There’s no practical limit – aside from storage size – on the number of files or folders that can be stored on an LTFS tape. 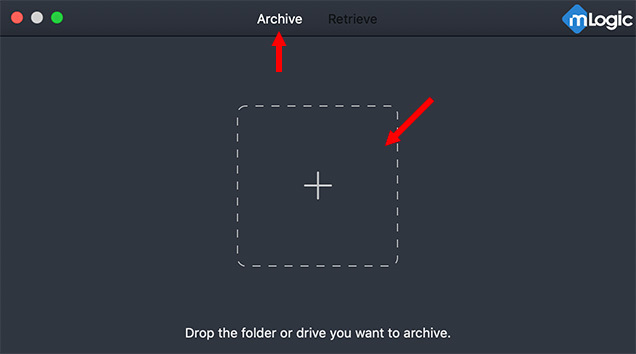 Finally, create a folder to receive the files you are retrieving from the tape. Here, I created a folder called “Files From Tape.” For best performance, make sure this is stored on fast storage with plenty of free space. Click Start Transfer to begin the retrieval process. This thermometer displays on-going progress, which includes both copying files to your local destination and verifying them.. This can take a few minutes, depending upon where the files are stored on the tape. Once the tape shuttles to the right location, the actual transfer is fast – up to 300 MB/sec. Roger Mabon is the CEO and co-founder of mLogic. (Before that, he co-founded G-Technology.) I sent him a list of email questions to help us learn more about his gear. Larry: What’s the advantage of LTO-8 over earlier formats? Roger: The main advantage over earlier formats is the native capacity of the LTO-8 cartridge at 12TB. This is compared to 2.5TB with LTO-6 and 6TB with LTO-7. BTW, the read/write performance of LTO-8 is 300 MB/second. When archiving to LTO you ideally want the source to be as fast or faster than the LTO drive to minimize offload time. Larry: LTO drives are made by IBM and Quantum. Why should we consider drives from mTape, rather than other sources? 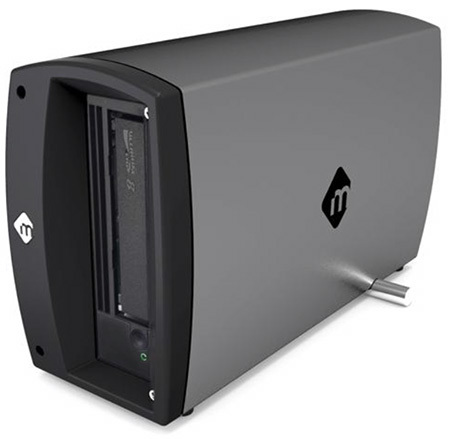 Roger: Unlike desktop LTO solutions provided by the likes of IBM & Quantum, mTape units feature Thunderbolt 3 connectivity. This makes it simple to offload content to LTO tape to computers with Thunderbolt ports. Larry: Your advertising for the mTape emphasizes that connecting this unit is “dead simple.” What connectivity problem are you solving? Roger: The native interface of an LTO dive is either SAS or Fibre Channel. The technology inside of our mTape solutions ‘talks” to the IBM LTO drive inside of the unit in its native SAS protocol while enabling it to be connected to any computer with a Thunderbolt port. Thunderbolt connectivity makes the mTape a truly plug & play solution. Larry: Normally, an LTO drive reads and writes the current version and one version back, while reading two versions back. But LTO-8 broke this practice, it only reads and writes versions 7 and 8. Why? Roger: The two generations of backward read compatibility was broken with LTO-8 since LTO-8 drives rely entirely on Barium Ferrite technology (patented by Fujifilm) for the data cartridge. LTO-6 drives supported both Magnetic Particle and Barium Ferrite data cartridges creating a compatibility issue and hence the read incompatibly. When LTO-9 becomes available, the capability of reading two generations back will resume. Larry: How do we upgrade data stored on LTO-6 tapes? Roger: If you have content stored on LTO-6, the best course of action is to migrate the tapes to LTO-7 or LTO-8. You need to migrate this content to newer generation LTO technology to ensure these archives continue to be accessible in the future. This can be done using third-party software such as YoyottaID LTFS to consolidate the data to a staging drive/RAID and then writing to LTO-7 or LTO-8. 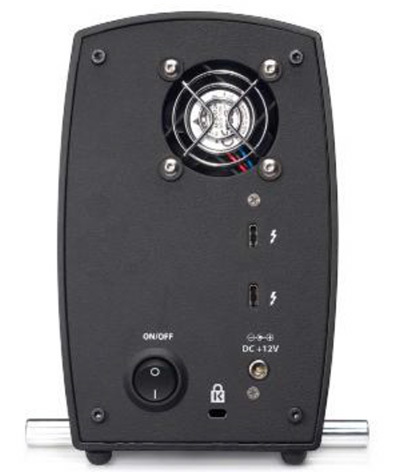 mLogic recently introduced a new product called mRack Migrate that features one LTO-6 drive and one LTO-8 drive (in a 1RU rack-mountable enclosure) so you can move content from older generation TAR or LTFS tapes to LTO-7 or LTO-8 media. If you chose not to migrate your tapes at this time, keep at least two LTO-6 copies of the archive safe in multiple locations and retain your LTO-6 or LTO-7 hardware so you can continue to access the media. Larry: How do we recover data stored on earlier version, prior to LTO-6? 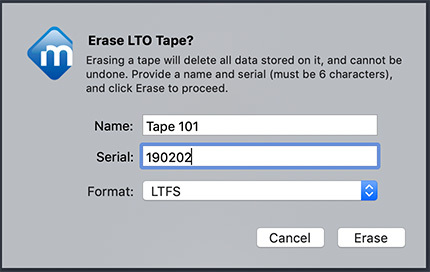 Roger: If you have older TAR formatted tapes or LTFS formatted LTO-5 tapes, you can recover data stored on these tape using software such as YoyottaID LTFS for macOS. This software can read the content on these older tapes and write it to later generation LTO tapes. Larry: Data stored on LTO tapes lasts for up to 30 years, properly stored. But the tape formats change far more quickly than that. What is a “best practice” for managing assets stored on tape? Roger: LTO tape cartridges have a 30 years life and have proven to be a very cost-effective way to archive data for the long term. That said, there is a need to migrate the LTO cartridge contents to newer generation tapes or maintain old generations of tape drives. LTO far superior than archiving content to a hard drive. A hard drive sitting on a shelf has a life expectancy of around 5-years. Larry: Once we store data on LTO tape, it seems we are also locked into continual hardware upgrades as the LTO format continues to expand. What do you advise to maximize our investment in hardware without going broke? Tape is cheap, but drives are not. Roger: If you are currently looking to add LTO to your workflow, I would suggest the purchase an LTO-8 solution as this will future proof you through LTO-10. You would not need to migrate the data on an LTO-8 tape for 7+ years and much longer if you maintain older generation hardware. BTW, you can still purchase new LTO-4 systems that were originally released in 2007. You do need to make an initial investment in the LTO hardware, but since LTO tape cartridges are significantly cheaper than spinning drives on a cost per TB basis, you will eventually save money with LTO. And more importantly, you will have peace of mind that your valuable content is properly archived. It is important to note that the LTO [Consortium] has recently extended their roadmap to LTO-12. This means that the technology behind LTO tape will continue expanding the density, performance and cost advantages for many years into the future, providing assurance that archived material will always be available. Larry: mTape supports a wide variety of archiving software. (For example, Yoyotta, Archiware, Axle.ai and PreRoll Post) What criteria should we use in determining which system best meets our needs, if we’ve never used LTO before? Roger: We ship mTape units with a simple LTFS archive/retrieve utility for macOS. To ensure that what you archive to mTape is an exact replica of your source material, the utility utilizes xxHASH64 verification. Detailed Transfer Logs are also generated with every archive. 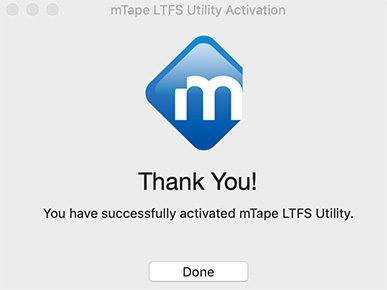 If you need an archive/retrieve app for macOS that is a bit more full-featured with an integrated database to track assets offloaded to LTO, we recommend purchasing mTape bundled with YoyottaID LTFS software. For Windows users, we recommend PreRoll Post and Xendata6 Workstation software. Both of these apps verify offloads to LTO and have a database to assist in retrieving media. Larry: The Mac Finder traditionally has problems when mounting LTO drives to the Desktop. Has this been fixed or, if not, what’s the best way to take advantage of the ease of use provided by LTFS? Roger: When mounted via LTFS software, an LTO tape will appear in the macOS Finder. LTFS splits a tape into two partitions, one with an index of the contents of the tape and one with the actual data stored on the tape. 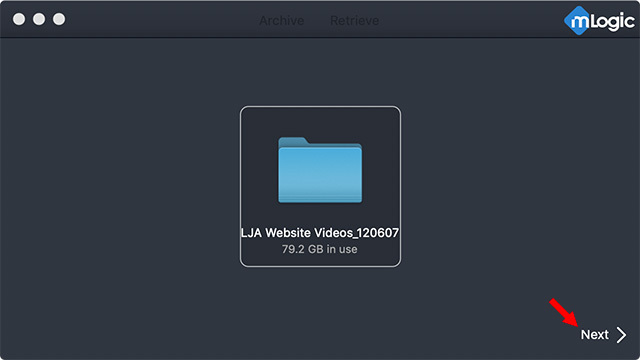 Having an index makes it possible to browse a tapes contents in macOS Finder. You could even drag files to the tape folder on the Mac, and they would be written to tape. 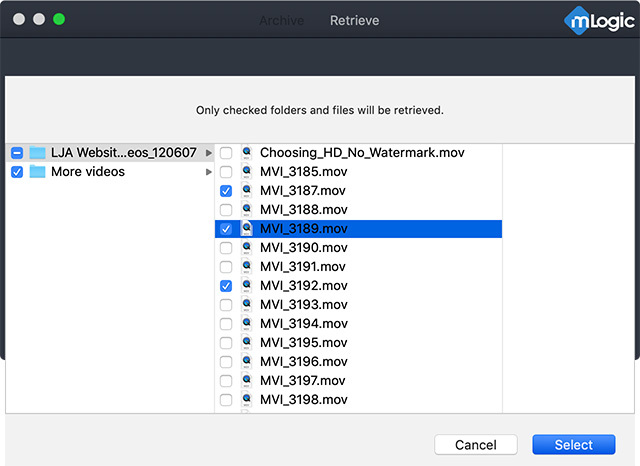 That said, once you try to access a specific file on the mounted tape volume, the Finder goes off and tries to retrieve the requested information. Since tape is a linear medium, this can be an excruciatingly slow and is therefore not a good idea. Bottomline: You do not want to browse a tape with Finder. Ever. This is where our mTape LTFS Utility and other third-party software (such as YoyottaID LTFS) come in to play. These apps temporarily recreate the tape index on your computer after mounting a tape. This allows you to select what you need to retrieve, or create folder structures on a tape before accessing the tape. The software organizes files and keeps track of their positions on the tape optimizing archive and retrieve speeds. Larry: When Quantum LTO-8 drives on Amazon cost $3,200, why are mTape drives so much more expensive? Roger: Some of the Quantum LTO-8 drives listed on Amazon at around this price point are in fact internal bare LTO-8 drives and not desktop units. The actual street pricing on a Quantum LTO-8 (part# TC-L82BN-AR) desktop drives is closer to $4,000 (see http://www.backupworks.com/Quantum-LTO-8-external-tape-drive-TC-L82BN-AR.aspx) mTape LTO solutions use the same IBM drives as Quantum but also incorporate SAS to Thunderbolt electronics that enable direct connection of the device to any Thunderbolt equipped computer. This adds to the overall cost. Larry: What do you want readers to remember when considering an mTape LTO drive? mTape solutions are relied on by content creation pros all over the world for protecting assets for the long term and have a single point for contact for support if needed. mTape joins a family of reliable LTO tape drive systems suitable for media archiving. The founders of mLogic have been working with storage for a long time and know how to build good gear. The LTO roadmap now extends to LTO-12. LTO is used daily by every Cloud provider, major studio and enterprise in America. It is an established, trust-worthy and capable archive system. 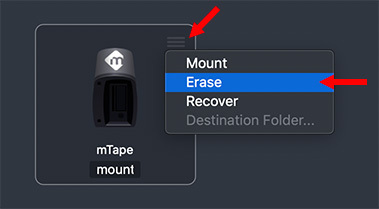 mLogic has taken this technology and made it easily accessible to every Mac user, with a simple utility that is as easy to use as mTape is to setup. If you are concerned about losing the data you have sitting around on hard disks, LTO tape is a safe, secure and inexpensive option. And mLogic makes the technology accessible and easy to use. Thanks to y’all, Larry and Roger, for this report. It seems to confirm my impression from reading about LTO systems over recent years that while the cost snd longevity issues of storage have been addressed, we are still confronted with the need for regular migration of data and/or update of software due to the changing hardware and software. So this aspect of archive maintenance has yet to be solved. While tapes may last 30 years the lifespan of LTO devices and software versions is unknown. Perhaps LTO systems are particularly useful for “major enterprises” and those who need to archive large amounts of data and less meaningful for others. With my less massive needs I will continue to work with hard drives and migrate data and update software as needed. While your points are true, the bigger issue is that we can no longer stack hard drives on a shelf and ignore them. Archives – whether stored on hard drive or LTO or The Cloud – need to be actively tracked and managed. No only does hardware become obsolescent, but so do applications, codecs and operating systems. Hi! I am still wondering why people dont up for two NAS raid systems running in sync (for smaller business archives of say up to 150tb): you immediately know and can replace HDDs when they fail (i have wdredpros which usually still are within their tyr warranty), and dont have the hassle of LTO hardware failing, upgrading. You probably will have to replace the NAS hardware, but it would still be cheaper then buying all new tapes? I suspect the main reason is cost. As storage needs expand, it gets very expensive to add more capacity by buying paired RAIDs, especially when a 12 TB tape costs about $50 (US). This is especially true when media becomes unneeded – except for archive purposes. To continue to spend money buying RAIDs to hold media you don’t need immediate access to becomes excessively expensive. And, like all technology, RAIDs will need to be replaced over time. For media you need to access on a regular basis, RAIDs and online storage are the best option. For assets you need to keep, but not access very often, tape will be better long-term choice. Both have benefits, both have limitations and both cost money. I would like to suggest a way to drastically reduce LTO equipment oost. I was initial put off of LTO by the cost and labor of buying new drives every 2-3 years and the labor cost of copying the tapes to the new format. For a small shop, there is no reason to do this. Unlike HDs, LTO drives can be repaired or replaced all the way back to LTO-1! Also if your LTO drive fails you also have the option to send your tape(s) to a service company for transfer to HD. Bottom line: You don’t need to feel that with LTO you are locked in to replacing your hardware and transferring all your tapes every 3 years. I do verify all my tapes every year. This is a good tip – thanks for posting it.